Budget Tips, Money, This post may contain affiliate links. Please see Disclosure Policy. Whether you have a little money or a lot, saving money any way you can, is always a smart idea. Try these small ideas that can add up to big savings of $1200 or more a year. If you turn saving money into a game, it can be fun to win! The better you play the game, the more money you save. You can instantly begin to save some money merely by paying attention to your spending and analyzing your own money habits. How will you save $1200 a year? Simply add up the numbers: if you can find 5 different ways like the examples below to save $5 each week, that $25/week can total $1200 each year or even more. 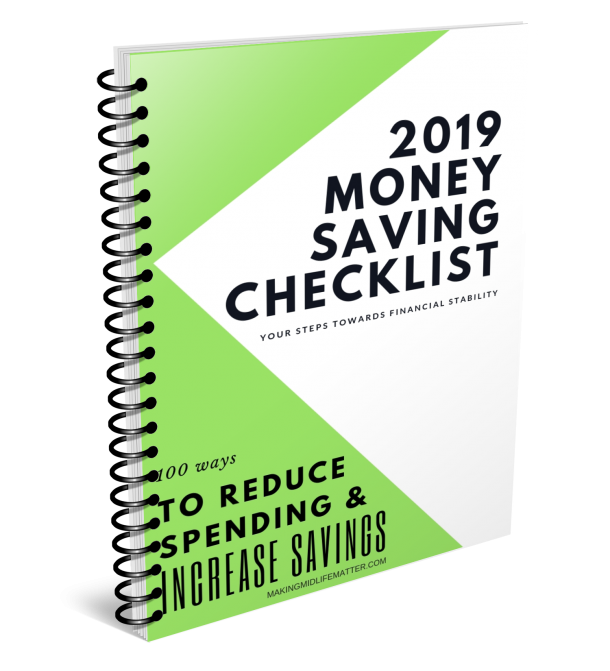 If you put your mind to it, you will likely be able to save more than $25 each week, making your total saved even higher. Just to be clear, we are talking about saving $5 as in, reducing spending by $5 on something that you are currently paying for on a regular basis. 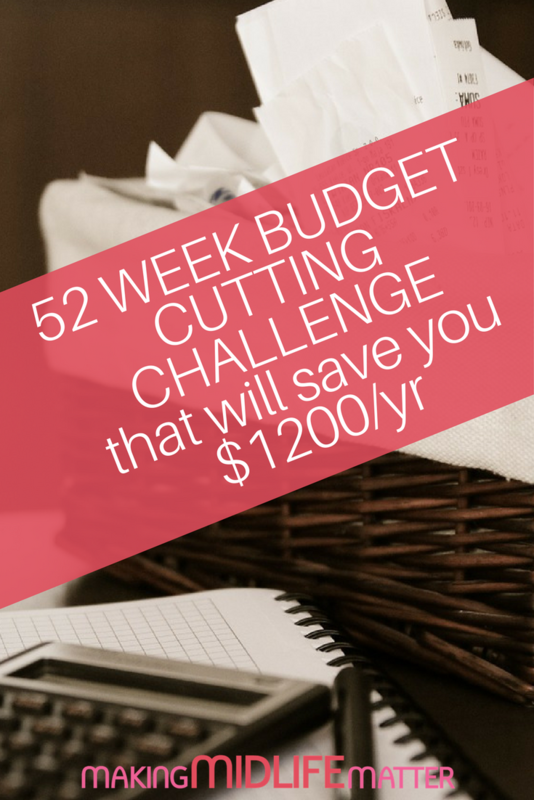 Next, once you start spending less money each week, you can decide what to do with this Extra Saved Money! 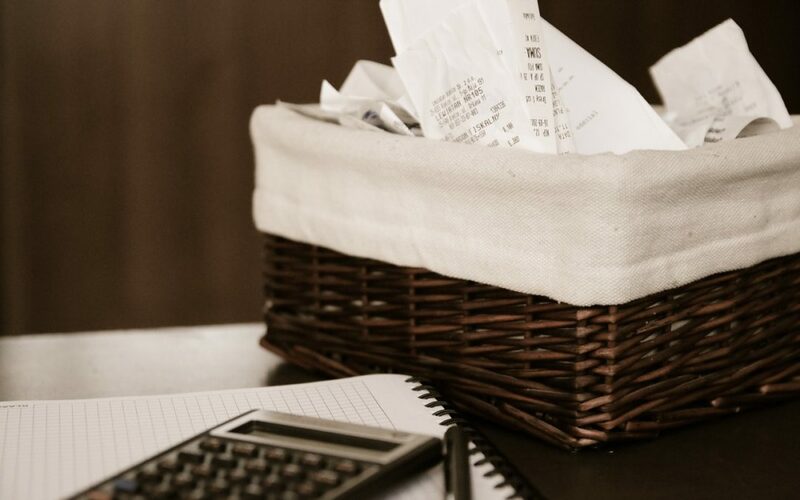 First, let’s talk about some simple ways to save that money. Recommended Tool: Organized Mom Budget Book. Monthly bill organizer. Bill tracker. Budget journal. Accounts book to keep track of personal finances. Pretty and sturdy budget organizer with pages to track home expenses and pockets to store receipts. Breakfast at Home instead of on the way to work or at work. Breakfast and coffee or tea “on the go” can cost $2-$10 depending on where you go and what you get. If you eat breakfast at home or bring it from home even once or twice a week, you can save big! My husband will spend $3 – $8 on breakfast each day. Eating breakfast at home just twice a week could save from $312 – $832 each year! Lunch at work Making lunch instead of buying it, even just a few times a week makes a gigantic difference. Taking the time to make lunch is a pain but it doesn’t have to be. Often at night when I’m cleaning up from dinner, I can pack up some leftovers for the next day so no time or even cost is wasted. Bringing lunch from home twice a week can save $520 – $936 per year. Bringing lunch from home can be just a fraction of the cost. Afternoon Treat If you are like me and need snack time in the afternoon, you can be very frugal about it. Rather than stopping to buy something, you can keep your own snack and drink supply at work and/or in the car. I keep flavored club soda along with some snacks at work so I can grab one for the ride home. At $4 – $6 per day, this saves me $1040 – $1560 per year. I could have several posts devoted to countless ways to save at the grocery store. In short, shop smarter. go green by using less paper products, you can save hundreds of dollars each year. Save money on gas by not automatically stopping at the closest corner gas station. Where we live, you are not allowed to pump your gas, the attendants do it for you. As a result, we pay up to .15¢ more per gallon compared to gas stations closer to work. Saving 15¢ per gallon can mean about $234 per year for me. Dinner out one less time per week or month can add up to noticeable savings. Getting take-out food is sometimes necessary due to tight schedules. But the expense can sky rocket if take out or dining out becomes your daily routine. Making the choice to cook and eat at home more often can save hundreds of dollars each month. Now that you are saving money, what should you do with it? You can spend less money and feel accomplished that you did. Personally, I like to SEE the money that I’m saving. My usual method is to look at my checking balance the night before each payday to see what I haven’t spent in the last two weeks. I use half of the money to make an extra debt payment. The other half, I transfer to my savings account. This way, I am accomplishing two goals, debt going down and savings increasing. Win-Win! What to do with your extra saved money? – Use your extra money to pay debt faster on your way to becoming debt free. – Keep some cash hidden away for when you run out. No need to hit up the cash machine. – Save for a special trip or weekend getaway. – Save up for a large, necessary purchase such as a household item. – Add extra money to your retirement fund. If you commit to a savings plan and put your mind to it, look how much you could save each year! When I create a money chart, I love projecting ahead several years to see how much I can save. It’s good to have a goal for something special, like a huge retirement trip – paid with cash! This cost reduction plan is not about making drastic changes overnight. This is about looking more closely at your spending habits so you can tweak them a bit. If you are reading this post, you probably wouldn’t mind having some extra spending money. Anyone would jump at the chance to save $1200 on a necessity so why not save that on your daily spending habits? By making only small changes like bringing lunch twice a week instead of buying it, you can start saving now. You can start to save money simply by looking at your spending habits so go ahead, take a look! This article was originally published on Juggling Mother by Gloria Kaye.